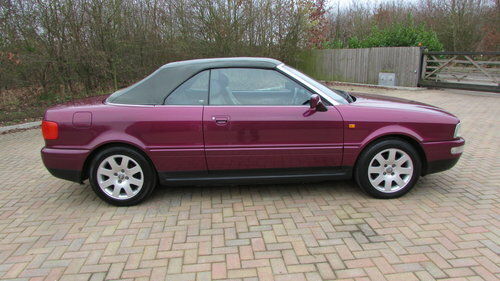 This Stunning Condition Audi Cabriolet 2.6 Final Edition is presented in Special Order Exclusive Audi colour Beere Pearl Effect (Berry) with Slate Grey mohair power operated hood , Platinum Grey Napa hide Sport seats with Cubus Design Platinum Grey inserts . 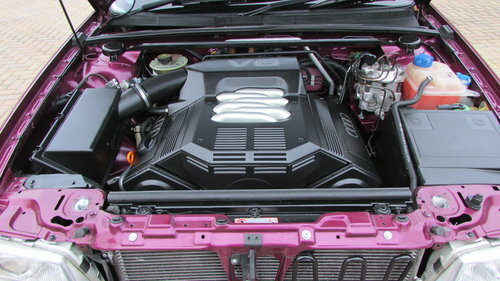 Powered by the 2.6 V6 (150bhp) engine , 5 speed manual , pas and ABS brakes . 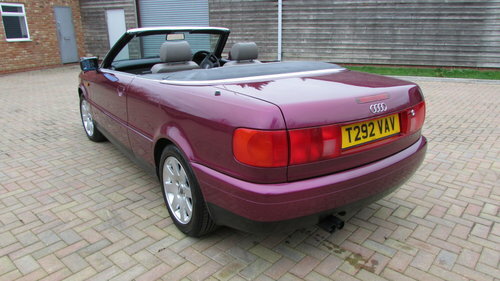 Audi Special order factory options includes Special Order Berre Pearlescent Exclusive Colour , Power operated soft top , Air conditioning (fully serviced), 16inch 10 spoke Sport Design alloy wheels (totally refurbished), Sport seats , Sundym glass , Audi Delta hi fi system with cd changer , illuminated vanity mirrors , Ellipsoidal headlights , elec front and rear windows , height adjustable front seats , space saver spare wheel , Audi fitted anti theft system with remote locking , elec adjustable heated door mirrors , Carbon Effect facia and door inserts and new fitted rubber mats . 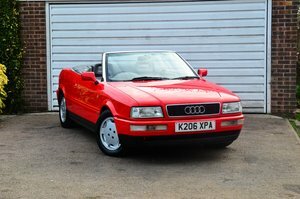 This only 2 owners from new Audi cabriolet 2.6 Final Edition Exclusive Cabriolet has a fully documented impeccable service history (20 service stamps) with previous mots and service receipts from new totaling over £8k to varify its genuine mileage of 113k . 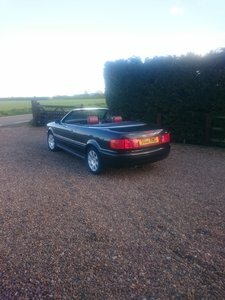 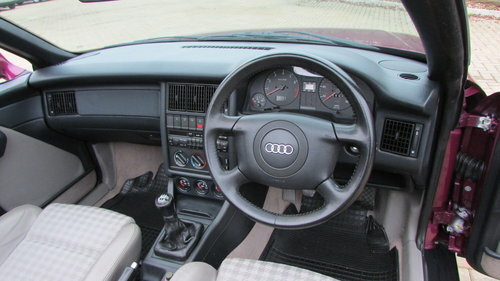 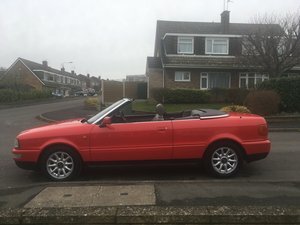 It has just had a full service by Audi main dealer Master tech mechanic , new suspension bushes , power hood serviced and new elec looms , air con serviced and recent new mot . 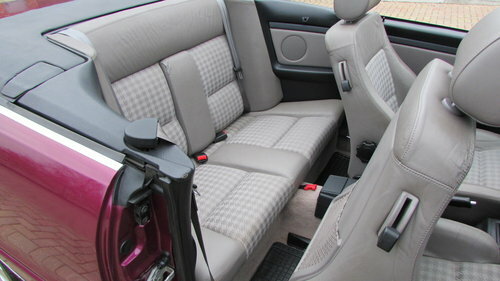 Supplied with new fitted indoor cover , toolkit and spare keys . 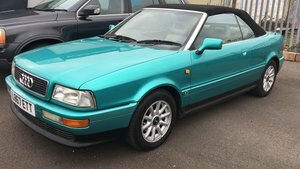 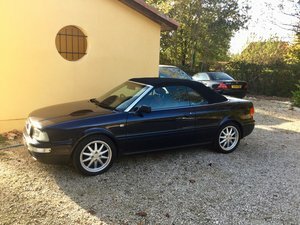 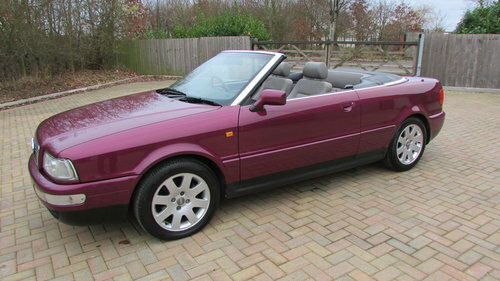 This is a Very rare Exclusive Pearlescent colour Audi cabriolet in Outstanding condition and Excellent build quality that drives Superb and a appreciating Classic . 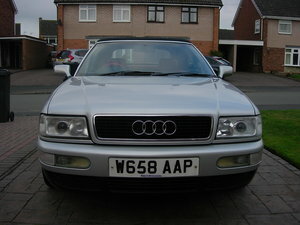 More photos available and delivery can be arranged in UK or Europe .